Life coach, dating expert, social media personality and presenter, Matthew Hussey has quite an interesting profile. He is an English man who has made a name by lecturing and tutoring both men and women on life and relationships. He owns a YouTube channel which gives him an avenue to reach his audience. He has featured on several television shows, magazines, newspapers and radio programmes. Let us learn a little bit more about his life. Matthew Hussey was born on June 19, 1987, in the English town of Essex. He was born into the family of Stephen and Pauline Hussey along with two other siblings – brothers. The occupation of his parents at the time of his birth is not known, however, his father currently runs the family’s business. This business is said to be built on the proceeds of Matthew’s book, Get That Guy. He attended Williams College in Massachusetts for his university education and decided to further study at the Stanford School of Business where obtained an M.B.A.
One of his brothers, Stephen is known to help in the development of Matthew’s video contents and also makes occasional features on the videos while the identity of the other is not known. Matthew Hussey began his career as a relationship coach in his late teens, and at this time, most of his advice went to his friends. When he began to take it more seriously, he mentored only men before he switched to coaching women between the ages of 20 to 69 in 2008. He would provide his services to women at cafés around London. His fame grew with time and so did his audience. In the same year, he created a YouTube channel where he gave relationship advice to women. He began with a series he titled Get the Guy which became very popular among women and enriched Matthew with a lot of subscribers. In 2010, he relocated to the United States and continued in this line of business; he also added live events and other digital materials helpful to the women on relationships and dating to his series on his channel. With all his efforts came immense results as his followership included celebrity actresses, notable among them being Eva Longoria and Tyra Banks. Matthew Hussey did not just stop with his channel, but he started organizing long hours of seminars, retreats such as the ‘Women’s Weekend’ and ‘The Matthew Hussey Retreat’ and also online tutorials all at a fee of $7,000. What a romantic way to be rich! His retreats, which took place in various cities in the US and the UK, had a record number of women in attendance. He extended his life and dating coaching to television. He got regular slots in several television stations where he gave relationship advice. Some of which are This Morning Show, The Vanessa Show, Plain Jane International, Rachael Ray, FabLife, among others. These shows vary from early morning talk shows to top fashion shows. Matthew’s seminars and talks mostly involve diagnosis, how to ask the right questions, question and answer sections, gendered advice, text messages and lines to use for varying situations. Asides being on television shows, Matthew Hussey has also been allotted column pages where he dishes out more of his advice. He has also been featured on many top-notch magazines and newspapers such as The Daily Mail, OK!, Men’s Health, Glamour, Cosmopolitan, Elle, et cetera. Controversies have risen over the charges Matthew imposes on those who wish to have a one on one session with him. It has been confirmed that his clients pay the sum of $10,000 for such appointments. However, this rather huge sum of money has not deterred his clients. 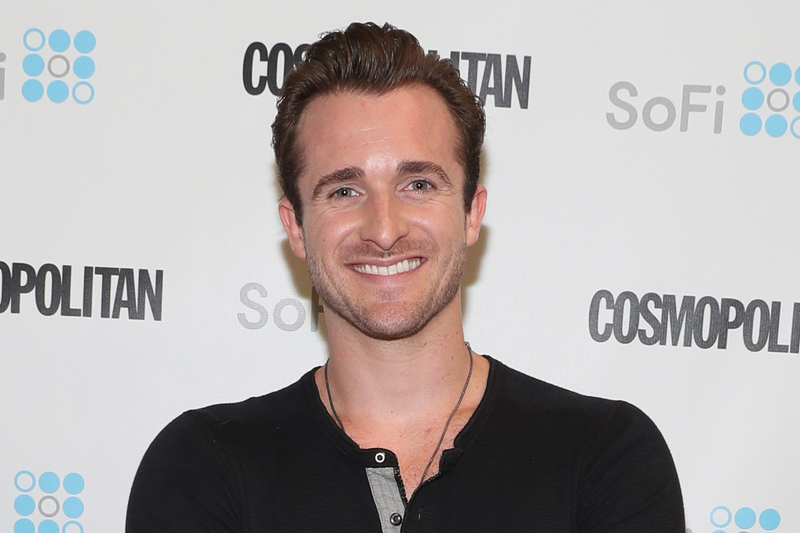 Asides being a YouTube personality and a life coach, Matthew Hussey is also a writer. He is the author of New York Times bestseller Get The Guy: Learn Secrets of the Male Mind to Find the Man You Want and the Love You Deserve which was published in 2013. The YouTube star and author of Get the Guy is certainly not married, however, is in a relationship with the gorgeous singing sensation, Camila Cabello. She is a Cuban-American and former Fifth Harmony member. They began dating in February 2018 and seem to be really happy with each other and as far as we know, Matthew has plans to make her his wife. There is no other information about Matthew Hussey’s love life and past relationships. Matthew Hussey has been able to garner a huge number of followers and audience. He currently enjoys the followership of over 1.6 million subscribers and over 200 million viewership. The life coach makes a lot of money from his seminars, retreats, talk show appearances among other ventures such as royalties from his book. According to recent estimates, he is worth $2.2 million.